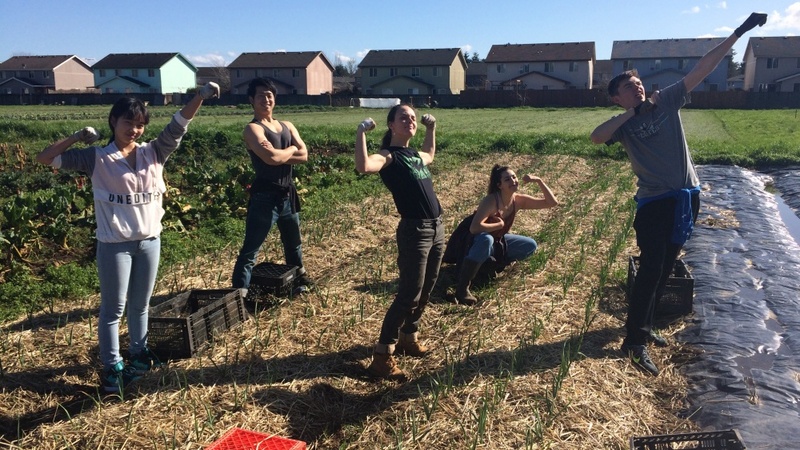 Registration for Duck Corps, the program organized by the Holden Center that helps UO students volunteer in the community, opens March 27, the first day of spring break. Members of Duck Corps work in small teams, participating in weekly, hands-on service projects that promote community-building and reflective engagement with local community organizations that are making a positive difference. Registration closes April 7. An experienced team lead serves as the main contact between the Holden Center, community partners and the student team, providing on-site leadership for the groups. To register, just go to the Duck Corps website and look at the descriptions for the spring teams. If you see one you’d like to join, click “register” to be added to the list. Teams are limited to between four and nine spots per team and it’s first come, first served, so interested students should move quickly. Six teams are currently spread across five focus areas: education, public health, Sustainability, poverty alleviation and human rights, but in the spring the number will go to eight and Katcher is looking to keep expanding. One of the new teams this term is Friends of Trees, an organization focused on bringing people together to plant and care for urban trees and natural areas. Duck Corps is a fairly new addition to the UO campus, but so far it’s been a successful one.